Ever since the meteoric rise of Korean dramas worldwide, Korean dramas themselves have been rapidly evolving, allowing itself to take bigger risks and chances than before, and proving that they can produce good quality movies and tv shows with a wide range of genres. 2017 has been a groundbreaking year for Korean dramas as it managed to produce “Stranger/Forest of Secrets“, a tightly written show with a definite cinematic feel to it to the point that “The New York Times” listed it as one of the best dramas of the year; and “Circle”, tvN’s first ever attempt at making a science fiction drama. Just like “Stranger/Forest of Secrets”, there were so many ways tvN’s experiment could have gone wrong, but instead, they gave us a groundbreaking drama with compelling characters, a great conceit, great performances, and a tightly written story. “Circle” aired on tvN from May 22 to June 27, 2017. 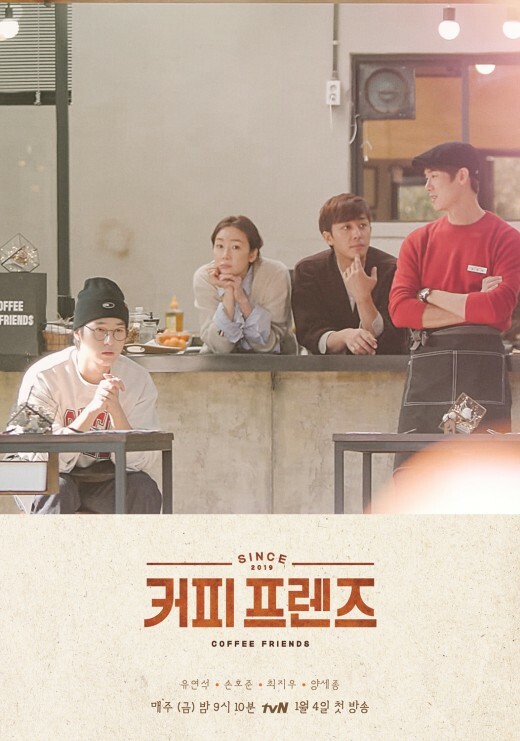 It was created by Lee Myung Han; directed by Min Jin Ki, with creative directors Jun Min Ho, Noh Jung Hoon, Park Hyung Won, Wi Sung Yun and Kim Geum Nan; and was written by KimYoung Hyun, Park Sang Yeon, Kim Jin Hee, Yoo Hye Mi, Ry Moon Sang, and Park Eun Mi. Unfortunately, despite the high praise the show has gotten, the show didn’t receive high ratings. However, this might be due to the fact that tvN is a pay or cable channel unlike KBS, MBC and SBS, which are free public channels, which means that they cater to a more limited audience while it’s airing live. The story, each episode, is told in two parts. Part 1: Beta Project is set in 2017, and Part 2: The Brave New World, is set in 2037. “Circle” tells the story of a pair of twin brothers, Kim Woo Jin (Yeo Jin Goo) and Kim Bum Gyun (Ahn Woo Yeon), who end up embroiled in a conspiracy revolving around a particular piece of alien technology, after discovering that the recent suicides around Woo Jin’s university has a singular connection to their past and to an alien that appeared in front of them when they were children. While Woo Jin and Han Jeon Yeon (Gong Seung Yeon) are the central characters who investigate the mystery in Part 1: Beta Project; Detective Kim Joon Hyuk (KimKang Woo) and Lee Ho Soo (Lee Gi Kwang) are the main focus of Part 2: The Brave New World, as they investigate a murder in a supposedly crimeless city in 2037, that has deep connections to the events that happened in 2017. With great performances, a tightly written story, consistent tone, good world building, masterful storytelling, good pacing and good direction, this risky and innovative attempt at making a science fiction Korean drama hits all the right marks and gets everything right. One of the things that makes it work is the fact that although it is a science fiction mystery thriller, it still manages to keep its story tight, and still throws many curveballs at its viewers that makes sense within the given narrative. Aside from this, the show’s cast is not that big, allowing the main and secondary characters to be well developed, as compared to other shows with big casts. The world that we are presented with in 2037 is quite possible, and every single detail is well thought out of. Another thing that worked is the fact that they chose not to have too much special effects, and kept everything grounded. The performances that each actor gave was well done and nuanced, from the main cast all the way to the secondary cast. Despite the fact that the show involved aliens, and advanced technology, just like every great science fiction story, at the core, allows us to stop and make us ponder about what exactly makes us ourselves and what makes us human, and it allows us to think about the consequences of what happens if humans were given powerful technology that could make or break the human race. It has been reported on Soompi that “Circle” could have a second season, based on how things ended in the first season. I do see the potential for it, especially as a lot of 2017 Korean dramas have been getting second season orders, but I’m also a little bit cautious about it, as they would have to strive hard to maintain the quality that they already have going for it, and the special effects involved will definitely make or break it. That being said, despite the actual ratings, I would like to see “Circle” get a second and FINAL season. As I mentioned earlier, one of the things that “Circle” got right is the tight storytelling. This, I think, is quite a feat as each episode was told in two different timelines, and as there was a deeper mystery that needed to be solved. This show proved that you can still surprise your audience with curve balls without things becoming over complicated, and with things still making sense within the narrative itself. Also, it was just pure genius the way that the two timelines seamlessly merged in the last two episodes. I have heard that there were some who were a little bit disappointed that in the end, in 2037, the Woo Jin that we got was actually a clone and not the original Woo Jin himself. However, despite the fact that I did think that they could have just put him in cryo-sleep or in stasis until he finally woke up, it made sense for me that with the kind of head injury that he had after the final showdown itself in 2017, that he would end up in a coma and eventually dying. And since we are dealing with a villain who does love to up the ante when it comes to scientific and technological progress, it made perfect sense that there would be a clone Woo Jin, and I did love the fact that this is the THIRD clone that they have made. (From now on, let’s call him Woo Jin 3). The entire show revolves around a particular piece of technology that Byul (Gong Seung Yeon) made for little Woo Jin when she was still her alien self. This piece of technology is what she called a “memory box”. Perfectly attuned to the individual it is made for, this piece of technology allows one to save memories as videos, and allows you to cut, delete, and watch one’s memories. Of course, as Woo Jin realized, this technology has the power to help and solve a lot of problems- from trauma victims to helping solve crimes faster. However, in the wrong hands, it could allow others to misuse the technology. In this case, however, they decided not to go for a big scale problem, and wisely decided to keep the main conflict simple. Aside from memory manipulation, they focused on the power of being able to lock unpleasant past memories, and from this stems the debate of whether this is ethical or not. After all, aren’t we all the sum and product of our past experiences? Who would we be without our memories and would we still be who we are today without them? These issues are presented in the cases of Byum Gyun in 2017; and in 2037, with Woo Jin 3 and Han Jung Yeon, who turned out to be Byul who had her memories deleted so that no one could ever get their hands on the technology she gave little Woo Jin. Woo Jin faced the difficult decision of letting his brother be happy without his memories of their father seemingly abandoning them because of Byul, which caused him to be obsessed with the case and also landed him in jail. However, in the end, without all of that, he wouldn’t be the determined, passionate and driven person he becomes. Later on, as Joon Hyuk, in 2037, he still retained all of these qualities and used it to honor the legacy of his brother by exhausting all means to find him. In the case of Woo Jin 3, sure, he is a clone and a copy of the original thing, but since he has all of Woo Jin’s original memories and experiences, it seems as if all of this allows him to still be Woo Jin, as the essence of what made him that way is still there. (For now, let’s not talk about souls and clones because what is being focused here is the role of memory in a person). For Jung Yeon, she had been happily living as Jung Yeon by choice and not as Byul. Yes, she’s definitely intrigued by her past, but here’s the rub. If she does restore her memories as Byul, will she end up effectively “killing” her own identity as Jung Yeon or will she be a mix of both? At the core of the entire show were the performances of Yeo Jin Goo, Kim Kang Woo, and An Woo Yeon, as the very essence of the show does revolve around the brothers. Yeo Jin Goo deserves high praise for his role as all of the versions of Woo Jin, because this role was definitely not an easy one to take, both physically and emotionally. However, he pulled it off well, which is quite impressive as he is only twenty years old. An Woo Yeon was great as the playful but determined Byum Gyun, and Kim Kang Woo was amazing as the older version of Byum Gyun. He was able to carry out the pathos needed for the part while still being able to act and still have the mannerisms that An Woo Yeon had. I also found it interesting and a great parallel that in Beta Project, Woo Jin is the one searching for Byum Gyun; and in Brave New World, it’s Byum Gyun who is looking for Woo Jin. Gong Seung Yeon’s performance was brilliant here as well as she had to portray three different versions of herself- the cold but caring alien Byul; the inquisitive and clever student Jung Yeon; and Bluebird, a calculating hacker bent on toppling the conglomerate Human B.
Lee Gi Kwang’s quiet but emotionally driven and powerful performance as Lee Ho Soo is notable as well, and his journey from believing in the system to realizing that what Human B was doing was wrong was one that was well played out. I loved that his turning point was the fact that locking memories made people forget the wrongs they had done in the past, which meant that those who need to be held accountable for what they did will go free and unpunished. The casting was also very much spot on, so kudos to this show’s casting director, as they were able to perfectly cast the younger and older versions of some of these characters. Case in point, Jung In Sun and Kim Min Kyung were perfectly cast as young Min Young and older Min Young respectively. Now, as I said earlier, I can see the potential for a second season, given that they ended the first season with aliens coming back to Earth in 2037, and with Jung Yeon’s eyes lighting up as if the Byul side of her is being woken up. Again, I’m cautiously optimistic, but there are a few ways I see that it can go forward while still keeping the two timeline narrative structure. They could focus on Byul’s past and have it somehow seamlessly merge with the current timeline in which our main characters from Season 1 are dealing with the alien encounter in 2037. I would like to see most of the main cast return, and put Ho Soo in a position of power to make things interesting. Then, the main theme of the second season, “Arrival” style, could be about how humans respond to the arrival of aliens. This would also allow our main characters to be challenged in different ways as well. With regards to special effects, I believe that they should keep it to a minimum. Have the aliens have human avatars like Byul, and save the special effects for specific scenes and for world building purposes. In the end, “Circle” was an exhilarating ride that definitely changed the game for Korean dramas as it showed that they can produce a good quality science fiction drama, with great performances, compelling characters, good pacing, tight storytelling with the right amount of balance of everything, and a story that makes us think about the importance of the role of memory in a person as well as the perils of having groundbreaking technology fall into the wrong hands. Korean dramas are definitely continuing to evolve, and while the fantasy genre “W-Two Worlds” was already a step in the right direction, “Circle” perfected it, making this 2017 drama an essential must watch alongside “Stranger/Forest of Secrets”. What a fantastic review! I must admit I got really hyped when I realized that there are still more stuff after your non-spoiler review (I thought it was just going to end at that then I found out you have spoiler disclaimer). You put everything perfectly and I agree with everything you said in this review. People tend to be confused or disappointed about the “alien” mystery not being really solved, but I believe that was never the point of the series, but more on the importance of memories and how it makes us as a person. And they summed it up really amazingly well. And I remember this comment I read on naver around the time the finale came, and the comment goes something like Joonhyuk and Clone!Woojin are great parallels of one another. We have Joonhyuk who still has his original body but not his memories, and we have Clone!Woojin who has his memories perfectly with him but not his original body. So personally, what I took from this series is that in the end, we live by the identity we believe in. And yes… it is indeed pure genius how the 2 timelines were merged. And in the final episode, it gave me goosebumps how the title became, “Circle: One World” like damn. This drama broke and healed my heart real good. When we realized that Clone!Woojin still has that innate selflessness of the original Woojin. He was willing to sacrifice himself back to Human B, just so his brother and Jungyeon can remain safe. He looked so broken when Joonhyuk initially didn’t want to accept him. I wish I can work that memory chip on me so I can erase Circle from my mind, and then rewatch it again and relive the whole wonderful ride from this drama.